Joe Thorn. 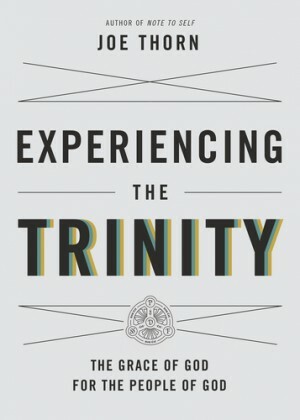 Experiencing the Trinity. Wheaton, Crossway, 2015. 140 pages. 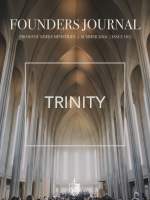 For devotional reflection grounded in sound and profound theology, this study of the Trinity by Joe Thorn will give food for the soul to any who read it. Its content developed as Thorn struggled back from a severe, debilitating bout with depression. He needed both medicine and truth; he had to be convinced to take the first and had to work hard at applying truths to himself as well as the people under his ministry. The recovery took some time and a steady combination of physical help and biblical truth. Thorn noted in his introductory words, “I am thankful that I have learned that belief is easy when life is easy, but when life is confusing and painful, faith will prove itself to be either rooted in Jesus Christ or resting on religious sentiments” (18). He found no better way to move back toward a more profound and secure joy as well as a more deeply grounded understanding of his call than to investiage point by point the character and operations of the triune God. If the reader does not look at the disarmingly honest introduction, he might be put off by the constant use of the pronoun “you.” The reader must realize that it is used primarily in the singular, not the plural, and is directed by Thorn to himself. 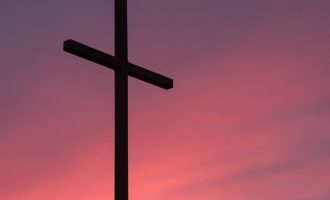 We are in on a private theological conversation in which the author is seeking to snap his own soul out of distress into the glorious freedom of the children of God. He directs the revealed truth of Scripture to his own hungry affections. The book is divided into three sections totaling fifty chapters. No chapter is more than two pages long. 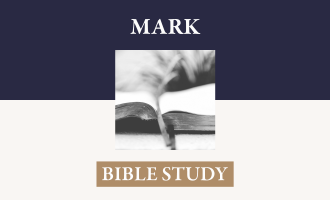 The sections are devoted to “God the Father,” God the Son,” and “God the Holy Spirit.” Each one is based on a Bible verse that states a proposition. For example the third chapter under God the Father is based on Psalm 115:3, “Our God is in the heavens; he does all that he pleases.” It is entitled “He is Powerful.” The first chapter under “God the Son,” based on 1 Timothy 2:5, is entitled “His Humanity.” The verse says, “For there is one God, and there is one mediator between God and men, the man Christ Jesus.” Within his discussion of “The Holy Spirit,” Thorn has a chapter entitled, “He Intercedes,” based on Romans 8:27. The final paragraph gives a good sample of the kind of substantial and edifying application present in each reading. Knowing that the Spirit prays for you should give you confidence in praying. 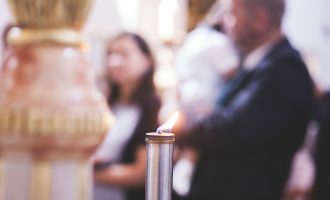 For when you pray, the Spirit is with you, and when you struggle to find your way to God with feelings that cannot be expressed in coherent sentences, God still hears. He knows. And his knowledge is not based simply on his omniscience, but on the work of the Spirit who lifts you up by name to the heart of God. The Holy Spirit prays with and for you. His intercession is your assurance that God hears your heart whether you pray in words or groanings too deep for vocabulary. (115). The Lord indicates in Psalm 46:5 that morning presents it challenges to his people and particularly at that time do his people need the strong reminder that that God dwells in their midst, they are his holy habitation, and they shall not be moved: “God will help her when morning dawns.” A small bit of the morning entering into Thorn’s thoughts about God, by yourself, with your spouse, or with your children can give an edifying trajectory to the challenges of the day.